Moving but feeling completely overwhelmed and don't know where to start? Do you need motivation to get organized and start simplifying your life? Are you trying to organize, but are lost in the process? Get excited for your new transition and next life chapter! Founder and president of eb ready to wear, Elizabeth Briggeman, has years of proven success as a professional and respected organizer, relocation manager and fashion consultant. Elizabeth and her team have the tips and advice you seek. 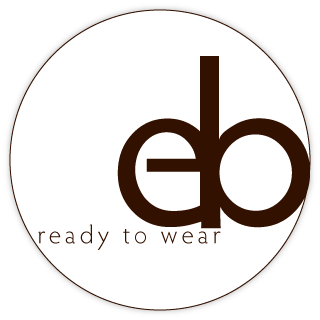 Allow eb ready to wear’s vast experience, knowledge and creative tools to organize and simplify your home, office, business, wardrobe and lifestyle with ease. There is no job too large or overwhelming. Elizabeth and her team move from project to project, room to room, with confidence, respect, no judgment, humor and motivation while providing reassurance to what can be the most emotional and stressful experience of your life. Moving! Knowing how to be practical but efficient, eb ready to wear provides motivation and inspiration for better decision making and ultimately making everyone feel fabulous about their decisions, choices and simplifying their life. Let eb ready to wear take the fear of feeling overwhelmed away and motivate you to take control over your life, feel energized and inspired.